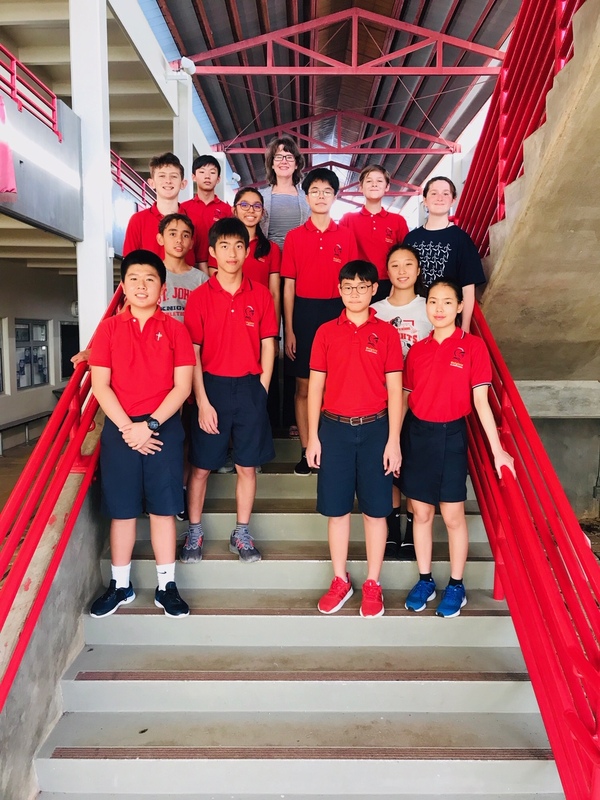 Congratulations to the Middle School Academic Challenge Bowl Team (MS ACB) for winning the island-wide Middle School ACB Competition, which ran from October 2018 to March 2019. 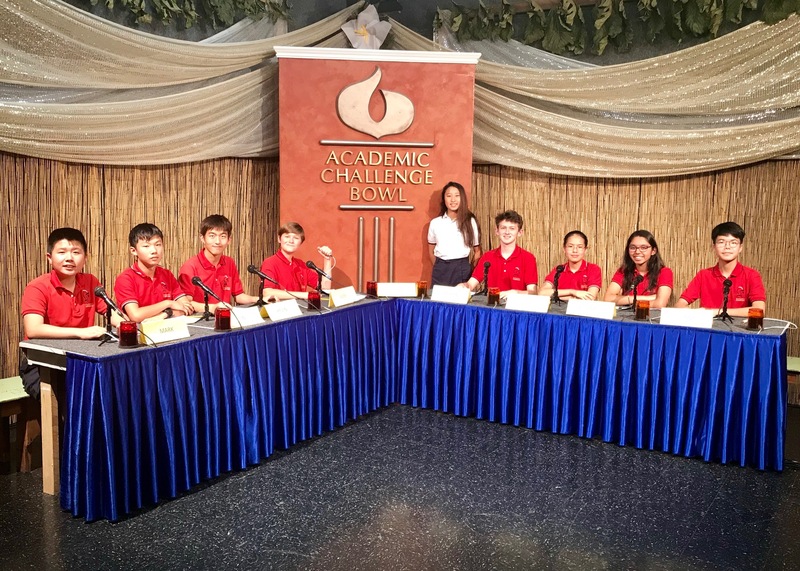 The Academic Challenge Bowl is a question & answer competition coordinated by the Guam Department of Education’s Gifted and Talented Education (GATE). Captain Mark Wang led his team of Kevin Choi, Jin Chung, Alexander Gayle, Seungho ‘Sunny’ Kang, Cameron Kelley, Vaishnavi Khandelwal, Kelvin Lee, Billy Mann, Joanne Park, and Kasey Xu to 22 wins and 2 losses. St. John’s MS ACB Team will represent Guam at the Junior National Academic Championship in Orlando, Florida this June. Exhibition games for middle school and high school teams will air on PBS Channel 12, on Monday, April 15, at 6:30 p.m. and will re-play on Sunday, April 21. Members of the MS ACB Team who played an exhibition game at PBS on April 2. Game will air April 15 at 6:30p and again on April 21. Left to right: Capt. Mark Wang – 8th, Jin Chung – 8th, Kevin Choi – 7th, Alexander Gayle – 8th, Co-Capt. Joanne Park – 8th, Cameron Kelley – 8th, Kasey Xu – 8th, Vaishnavi Khandelwal – 8th, and Seungho ‘Sunny’ Kang – 8th.